If you want to jazz up your Bank Holiday Weekend then Brunch is the way to do it! If you are getting tired or bored of Sunday lunch then jazz it up with today’s hot trend of Brunch. From pancakes, bacon and maple syrup to eggs benedict, smoothies and sour dough Brunch is the “in” meal and conversation starter for family and friends to end the weekend. In 2019 The Four Seasons is offering a select few dates for brunch starting with Easter (Sunday and Monday), continuing with the May Bank Holidays and finishing the August Bank Holidays. 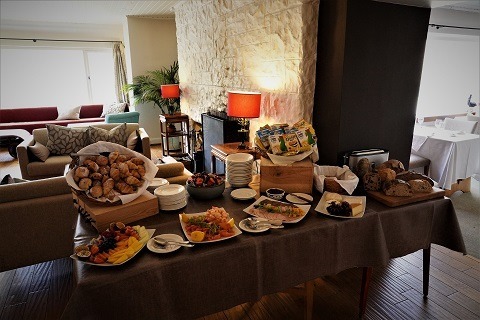 The brunch buffet will offer the best of breakfast as well as some fabulous creations from our new kitchen team and will be available from 10.00 am to 2.00 pm. Prices are £25.00 for adults and is the perfect hangover cure whilst families bringing children along can expect to pay £12.50 for each of their young people. For residents due to check out on the Sunday, brunch is being served instead of breakfast.